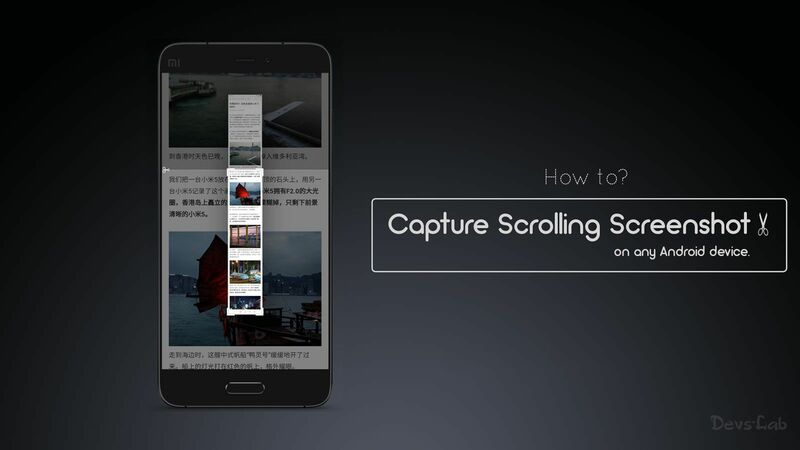 Xiaomi first introduced the scrolling screenshots feature in its MIUI. Later on, other manufacturers like Oppo and OnePlus followed and added the feature on their Layered Interface. Scrolling screenshots come handy in few circumstances. We can send a single long screenshot, instead of sending multiple screenshots. We can also send web pages, long documents, chats in a single image. But not every OEM natively supports this feature of long/scrolling screenshots. Don’t worry; there are few ways to take a scrolling screenshot on your Android device, follow our guide below. 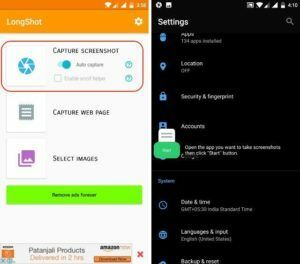 How to take Scrolling Screenshots on Any Android Device. LongShot is one of the apps which can take long screenshots. But, it works indirectly and different. This app actually takes multiple screenshots, combine them and present the users with a single output image. Install and Launch the app. You can see the home page listing with three essential functions; capture screenshot, capture web page and select already taken images to combine them into a single image. Tap on the “Capture Screenshot” option, a small overlay button with a start option will be displayed on the screen. Now, Go to the app/screen for which you want to take a scrolling screenshot and then tap on the start button. Then, slowly scroll the screen to the point up to which you want to take the screenshot. Tap on the Done button, when everything is set. Now, the Longshot app will open automatically, showing the individual images. Just hit the join button present at the bottom of the app to combine these separate images into a single one. Users can also manually change the stitching points of the individual images by tapping on the “Adjust” option. Similarly, users can capture the web pages using ‘Capture Web page’ option from the start page. Scroll Capture is an another app of this kind, especially for capturing long web pages. This App will do the job with a single click, just follow the process below. Install/launch the app; you can see an interface similar to that of a web browser. Enter the exact URL of the web page, of which you want to capture. Remember that, this is not a search interface, so enter the full URL of the page. Next tap on the capture button, when the web page loads completely. Just wait for a few seconds and app will take a scrolling screenshot of the whole web page. No need of stitching multiple images, but the functionality of this app is limited to Web pages. There are few other apps which can perform more or less in a similar manner. 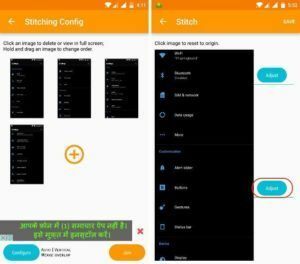 Stitch & Share is one app, resembling the functionality to LongShot. The second app is Screenshot Joint, which allows you to join two photos either vertically or horizontally. We have personally tested these apps, and they are not that good. They are in no way near to experience of taking a scrolling screenshot in MIUI/ Oxygen Os, but these are the only options for now. As the feature of Scrolling screenshots is becoming more popular and essential, we can expect new apps with better functionality. As usually, We will update the article when a better option comes up. Till then, adjust using these apps, as it is far better than sending multiple images.